These Bark Dahlia Sola Flowers are approximately 2 inches in diameter or 6 cm. 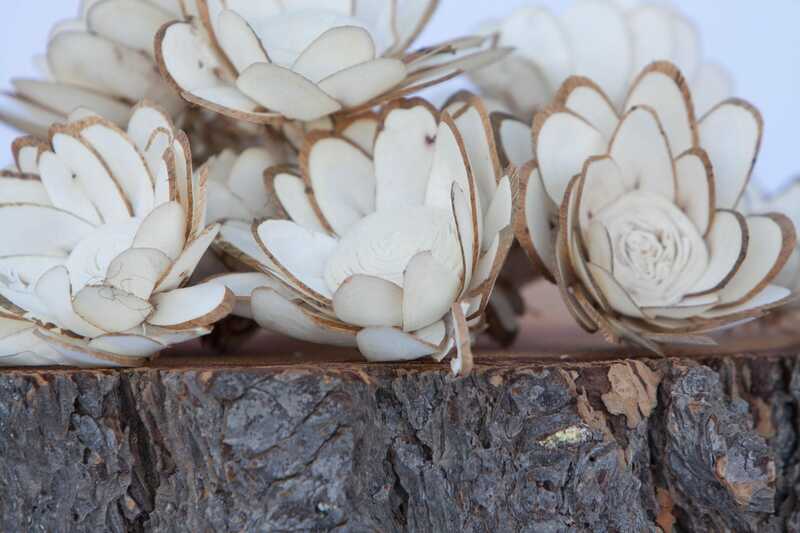 They are naturally ivory in color with bark showing on outer edge of petals. Sola flowers are not fresh flowers. 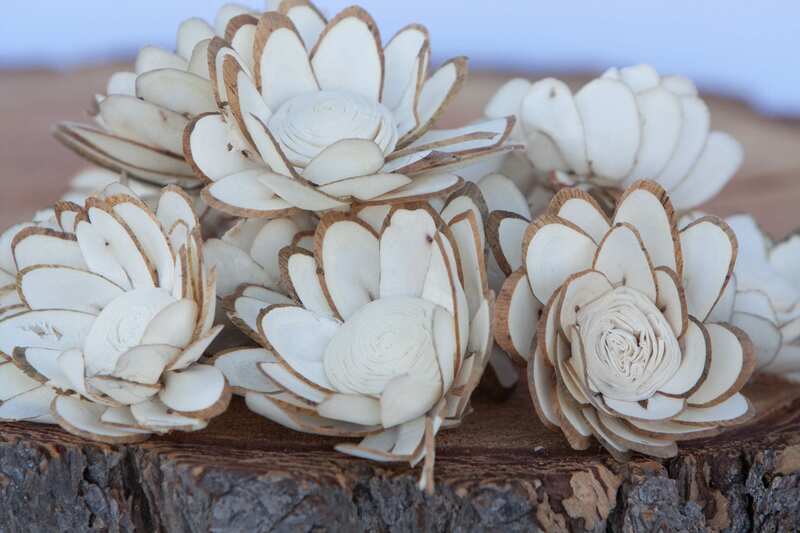 They are handmade with shavings from tapioca or balsa tree bark. 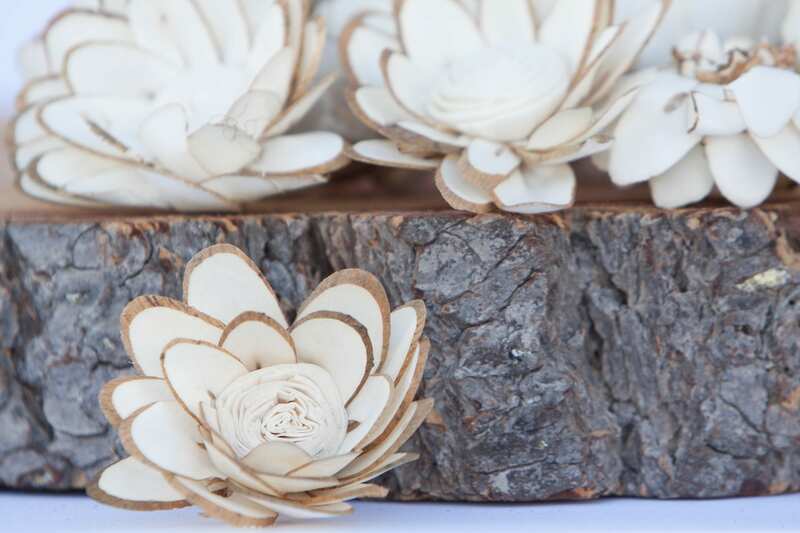 Because they are handmade, and made from natural materials, no two are exactly alike. Some brown veining are on some of the flowers due to being made from the bark of a tree. In person they feel like a thick paper or spongy material in person. I'm very happy with these beautiful flowers! There were some small tears in a couple of petals, but nothing that will keep me from using them. The extra flower that was added to my order made up for it! :) Thank you! These flowers are precious. I have several people that I interact with with on a Sola tips and tricks FB page and have numerous compliments and people ask me where I purchased them from.